Independence Day is right around the corner, which means celebrating with friends and family at picnics or community events. 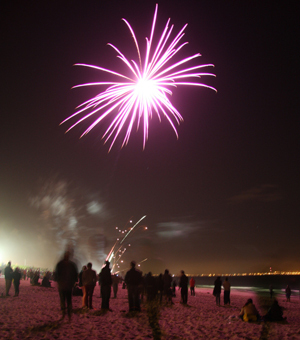 During the celebrations, fireworks often make an appearance. According to U.S. Consumer Product Safety Commission (CPSC), “60 percent of all fireworks injuries occur during the 30 days surrounding the July Fourth holiday,” making firework injuries a top concern during this time of year. Before igniting fireworks this Fourth of July, review these tips to avoid firework injuries and to celebrate successfully with friends and family.